The Filipino envoy to Iraq met with Kurdish businessmen on Saturday to promote trade, investment, and tourism between the Philippines and the autonomous Kurdistan Region. “Our visit here [to Erbil] and the holding of this event is the first step to improving relations between the people of the Kurdistan Region of Iraq and the Philippines,” the Chargé d’Affaires en pied for the Philippines in Baghdad, Julius D. Torres, told Kurdistan 24 on Saturday. The envoy also mentioned that the government in Manila would facilitate the visa application process for applicants in the Kurdistan Region by opening a special facility or visa center in Erbil, allowing for individuals to apply without having to visit the embassy in Baghdad. Following the military defeat of the Islamic State, declared by Iraq in late 2017, the autonomous Kurdish region has ramped up its effort to kickstart its economy and trade relations with different countries. 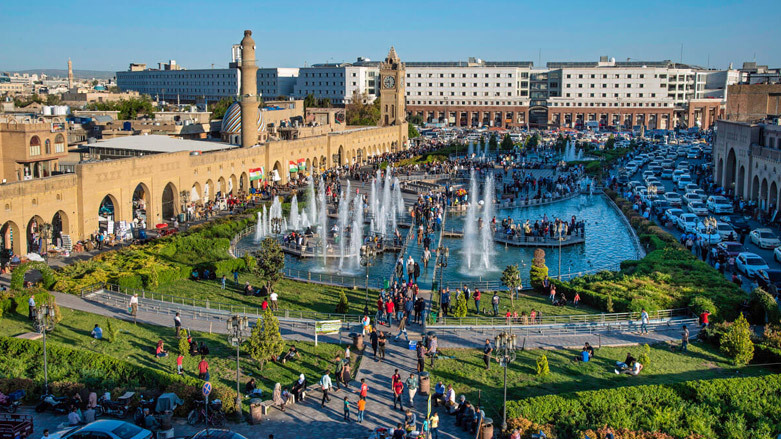 “The Embassy of the Philippines in Baghdad has positively contributed to the success of local companies in the Kurdistan Region,” Anwar Falah, the owner of a tourism company attending the event, told Kurdistan 24. “It is true that we in the Kurdistan Region share the same Iraqi passport, but we had asked the Filipino Embassy to distinguish [the difference between us] and not view this region the same as the rest of Iraq due to its unparalleled [security and prosperity]… Other embassies are also treating the Kurdistan Region differently,” offering distinctive support, Falah noted.